When Madea catches sixteen-year-old Jennifer and her two younger brothers looting her home, she decides to take matters into her own hands and delivers the young delinquents to the only relative they have: their aunt April. A heavy-drinking nightclub singer who lives off of Raymond, her married boyfriend, April wants nothing to do with the kids. But her attitude begins to change when Sandino, a handsome Columbian immigrant looking for work, moves into April's basement room. Making amends for his own troubled past, Sandino challenges April to open her heart. And April soon realizes she must make the biggest choice of her life: between her old ways with Raymond and the new possibilities of family, faith ... and even true love. Taglines: Hope is closer than you think. 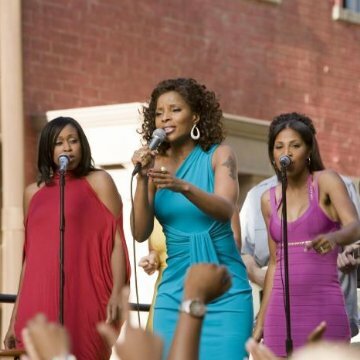 Revealing mistakes: While Tanya was performing on stage after the wedding you could actually see "Mary J. Blige" tattoo beneath makeup on her right upper arm. Madea: What's going on with you? 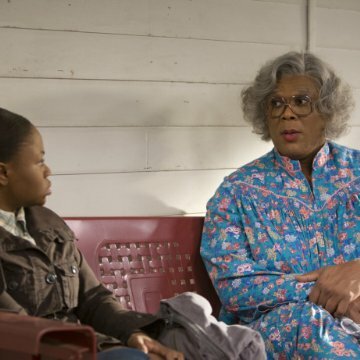 Madea: Aw I'm sorry to hear that, baby. Jennifer: My Aunt April's gonna send us back to foster care. They gonna separate us. I'm all Manny and Byron got. If we separate, I don't know what I'm gonna do. Madea: Calm yourself down, honey. Calm down. Getting all worked up. Jennifer: Can we stay with you? Madea: That ain't true. Somebody wants you. How can anyone watch this drivel? I see many of the comments on here are "this is Tyler Perry's best film ever." That's pretty much like saying the Yugo was best Serbian-built car ever. Tyler Perry can't write. He tends to choose actors who can't act. He just keeps re-writing the same basic, tired, stereotyped characters and puts them in virtually the same tired plots over and over. But he apparently knows his demographic, because the same folks will run out and plunk down $10 to see this crappy, sappy mess. It works for him, so I'm sure there will be another Madea movie within 18 months.